Founded by a team of dedicated professionals from various intellectual fields who share a common goal, the I-CHAIN, a project of Glass Cube Ltd is a platform that aims to revolutionize the entire insurance industry. This is made possible by the implementation of the open source technology, “blockchain” which is highly recognized for its transparency. The I-CHAIN seeks to provide efficient, reliable, transparent and affordable insurance solutions to customers anywhere in the world. The traditional insurance industry has been regularly confronted with barriers such as regulatory issues which arise as a result of centralization and legal complexities, as well as fraudulence on the part of people who may want to make claim more than once. However, the blockchain brings along its security, transparency and immutability. The I-CHAIN platform is expected to change the way insurance is done in different parts of the world. Insurance companies will be able to create, publish and sell their insurance products to customers on the platform with a reduction in operational costs. The platform will cover regular insurance processes like sales and claim processing as well as communication channels such as web and mobile applications. While being interviewed by “techbullion”, the CEO of I-CHAIN, Yuriy Mukhin, described it as the “Uber of Insurance”. He referred to affordability, among many, a major problem the I-chain aims to solve. According to Yuriy, the platform will allow people to run their own insurance business, as well as their own insurance products. For instance, the dentist who has their token can use constructor tool to create the product “1-year tooth filling loss guarantee” on the I-chain platform and provide an insurance pool. In addition, he can sell or give this product to his patients. Speaking about Uberization of insurance, Yuriy said: The platform has as a major goal, to connect insurers and related businesses with customers at a minimal cost, the same way consumers benefited from the low prices of the Uber Taxi platform. Insurance companies selling their products on the platform will be able to save operational costs by using the built-in functionality. Small businesses can improve communication by providing services such as a call center in a specific language or expertise in certain areas. Individuals will be able to provide services small services as emergency commissioners or insurance brokers, and so on. Global and independent software developers will be able to offer their services and applications to insurance companies on the platform’s internal marketplace. Decentralization: I-Chain will reduce the over-reliance on centralized market infrastructures thereby creating the need for new regulations and controls within the industry. Security: The blockchain technology guarantees transparency at all levels of the transaction, from sales processing to claims. Thus, fraud will be eliminated and there will also be increased in the speed and efficiency of insurance transactions. Innovation: The platform encourages innovation through the inbuilt functionality which allows the designing of new insurance products and services. Data Pooling Opportunities: Since sharing data (placements and claims) on the platform is possible, buyers can manage and finance risks more efficiently while insurers can adjust their prices accordingly and manage claims recoveries. To know what to expect from I-CHAIN, it is important to review their roadmap, written on their Whitepaper https://i-chain.net/i-chain.net.wpaper_rev_005.pdf as milestones. Their roadmap is however broken down in this article. Currently, the I-CHAIN platform is still at the ICO stage where the platform ICHN, Utility tokens have been on sale since 17th May 2018 at the rate of 0.1 ETH. Being the only chance to utilize the platform, the value of Utility token is expected to rise up to 10% of the regular price of starting up an insurance company. No new tokens will be issued after the token sale and the total volume is pegged at 5,000,000. ICHNS, Security token which is the second type will also be offered to the public from 17th November 2018. Nevertheless, those who bought Utility tokens before 31st October 2018 will receive from Glass Cube Ltd, an equal number of Security tokens. i.e. 10 Utility token= 10 Security Token. How I-CHAIN plans to go about their project is further broken down below. May 2018: This plan targets architecture according to the whitepaper and the MVP of the platform as indicated in the demo. This plan already been achieved in May 2018 as you can access the demo at https://demo.i-chain.net. The program targets architecture with BPM engine and all layers according to the Whitepaper. Q4 2018: MPV as real product accessible to the public. This plan is still in process as the platform proposes to launch their first “IC insurance” product by the end of September. June 2019: Still in the development plans of the platform, 2019 will see the platform introduce a version with product constructor for one type of product. Use of Token will also be enabled on the platform. Partners will have the possibility to construct their own products (one type) using the platform. This means it will become possible to make use of owned token and sell/provide own product to the customers (1000 customers per one Token). Dec 2019: Planned for this period is the ‘extended products’ constructor version for at least 3 types of products. Consequently, this will result in an extended token value. There will also be an extended API version for partners. Dec 2021: This period will witness a development of the full version of the platform. Insurers can now use the product constructor to construct at least 5 types of products including mobile applications and full API. When asked about the target market for I-CHAIN in a recent interview, Sergey Chekriy reiterated on their plans to cover the global insurance industry. 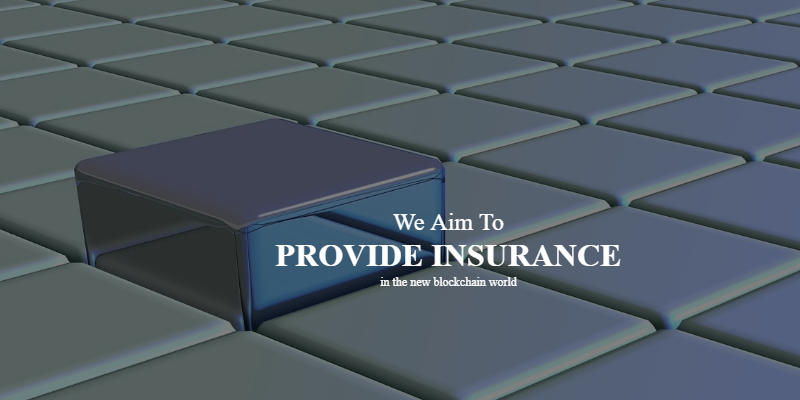 This is because the platform is built on the Ethereum network which is global and the architecture developed by the platform allows them to provide insurance solutions without geographical restrictions. At the launch of the first products on the platform in Q4 2018, I-CHAIN will introduce all necessary channels including web, telegram, e-mail to provide technical support to its users. Remember that the prototype is ready at https://demo.i-chain.net. The platform will be developed as the company raises money through crowdfunding.